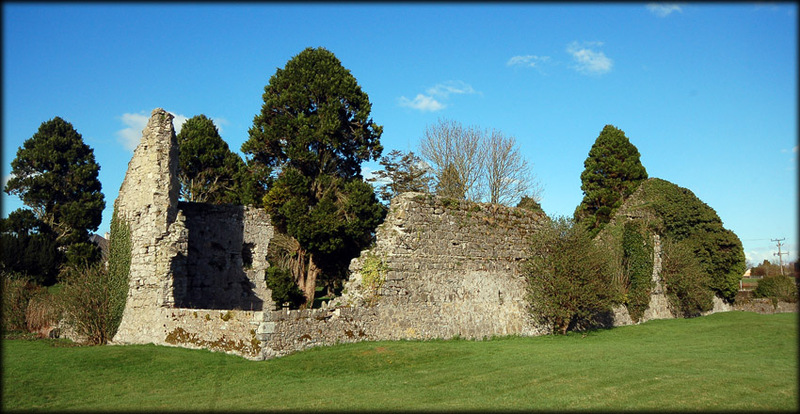 The Grey Abbey was first erected by Lord William De Vescy in c.1254-60, but finished by Gerald Fitzmaurice Fitzgerald, Lord Offaly, for the Franciscan monks. The Abbey was named after the grey habits worn by the franciscan monks during medieval times. Buttresses were added to the north wall in the 14th century and the east and west windows were probably inserted in the 15th century. The Abbey was suppressed in 1539. Sadly the Abbey now lies in ruins and is in a very dangerous condition, so I would not recommend visiting. 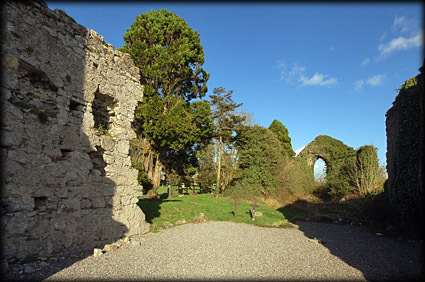 There are a number of other Abbeys in the Kildare area including the Black Abbey at Tully. Situated: Behind Kildare Village Outlets. On foot from there or from Kildare Market Square, head south on Bride St. Keep right onto Greyabbey Rd. There are warning signs "Danger keep out". Discovery Map 55: N 7263 1195. Last visit Mar 2011.